Learn over 50 essential words at the heart of French and how to put them together to make yourself understood. 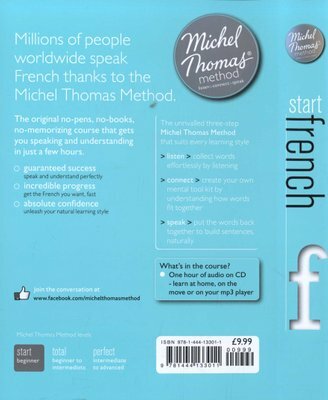 This 1-hour basic introduction to French with the Michel Thomas Method will get you speaking the language immediately: no books, no pens, no memorizing - just listen, connect and speak. How does it work? During the course, you will join Michel and two students in a live lesson, hearing both their successes and their mistakes to keep you motivated and involved throughout the course. Within the very first hour you will be able to construct simple phrases by listening and thinking out answers for yourself without the pressure of writing or memorizing. Why is the method so successful? The Michel Thomas Method was perfected over 50 years by celebrated psychologist and linguist Michel Thomas. This unique method works with your brain and draws on the principles of instructional psychology. Knowledge is structured and organised so that you assimilate the language easily and don't forget it. The method breaks down the language into building blocks that are introduced sequentially in such a way that you create your response and move on to ever-more-complex sentences. You'll stick with it because you'll love it. Where do I go next? 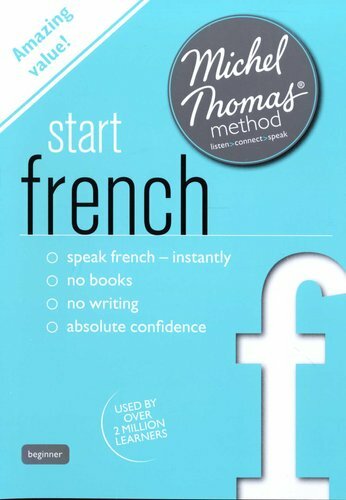 After you finish your Start course, you can move to the Total French course, which includes 8 hours of audio and a practice CD-ROM. Perfect French follows on from the Total course with 10 hours of audio and a practice CD- ROM. Learn anywhere Don't be tied to chunky books or your computer, Michel Thomas Method audio courses let you learn whenever you want: at home, in your car, or on the move with your MP3 player.